Seth grew up in Westchester County, NY. He graduated from Yeshiva College in 2010 with a BA in Sociology. 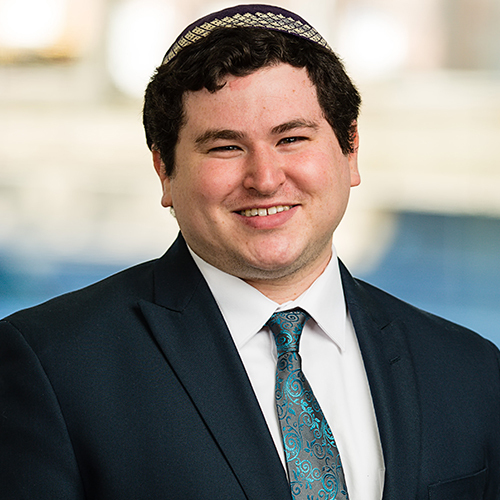 Between his high school graduation and arrival at YCT, Seth spent nearly four years studying in Israel at Yeshivat Lev HaTorah in Ramat Beit Shemesh and at Yaacov Herzog Teachers College in Alon Shvut. During his time at YCT, he served as a teaching intern at Westchester Day School and Ramaz Middle School. He has taught Tanakh and Parshanut to multiple age groups, including pre-rabbinical students in YCT’s Beit Midrash Program and middle school students at the Denver Academy of Torah. He is currently the associate rabbi at MMAE in Baltimore, MD, teaching Torah and learning the ropes of the pulpit.